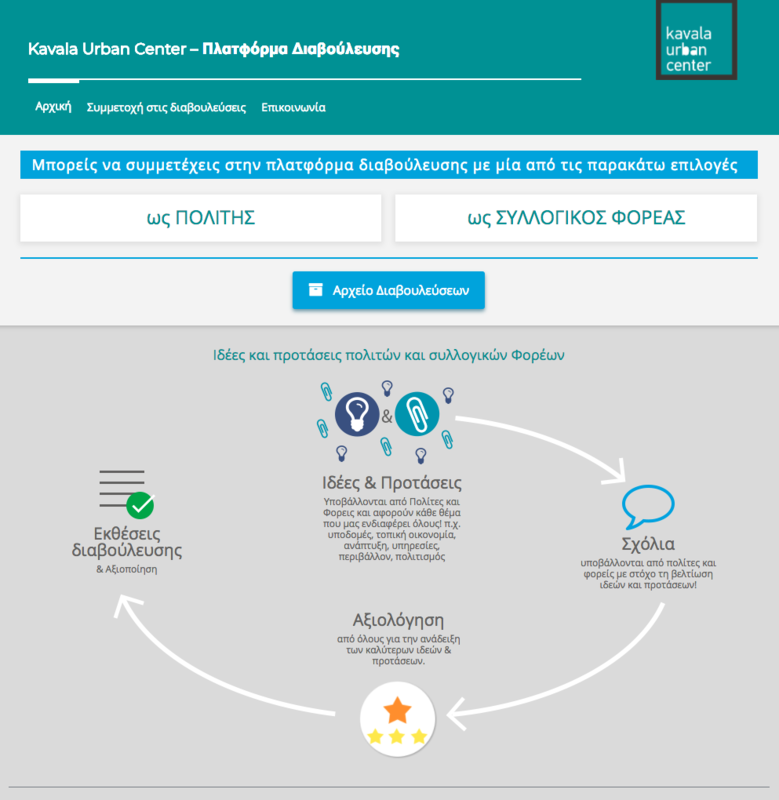 Crowdpolicy, a pioneering company in matters of open – participatory government and open data technologies, has designed, developed and implemented the Online Consultation Platform for the Municipality of Kavala. The Municipality of Kavala launches the Structured Public Consultation Mechanism for proposals and ideas to be implemented, in the context of shaping and highlighting in a participatory way its needs and priorities in terms of municipal projects and actions. The Consultation Mechanism is provided to the public through a modern digital tool, the online platform that is accessible at the link http://hello.crowdapps.net/participation-dimoskavalas/.